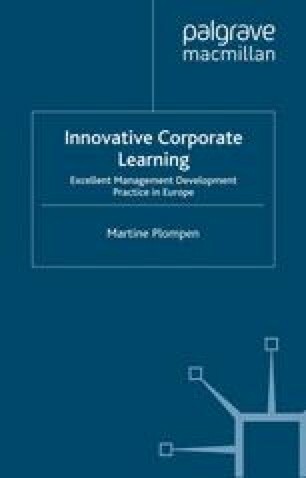 In this chapter, we describe the myriad of realities behind the popular term ‘corporate university’, with a special focus on relevant European examples. The term indeed encompasses a wide variety of initiatives of organisations to meet their varying corporate needs. But in essence corporate universities are based on the organisation’s need to change. The term Corporate University (CU) in itself can lead to a separate debate. It has both positive and negative connotations, but here we use it as a useful general label. For instance, ABB and ABN Amro have both set up ‘academies’, whilst Deutsche Bank and British Aerospace are referring to their ‘universities’ and other organisations have established a learning centre, management institute or school of business.